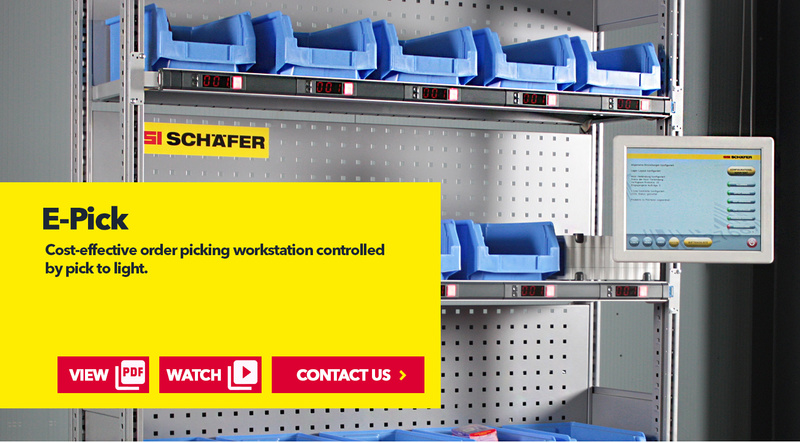 E-Pick is a light-controlled assembly solution in which ergonomic workstations equipped with a pick-by-light picking system lead employees step by step through the work process via displayed instructions. The employee selects the jobs via the display, and the storage locations are illuminated in the correct sequence, guaranteeing consistent workflow. 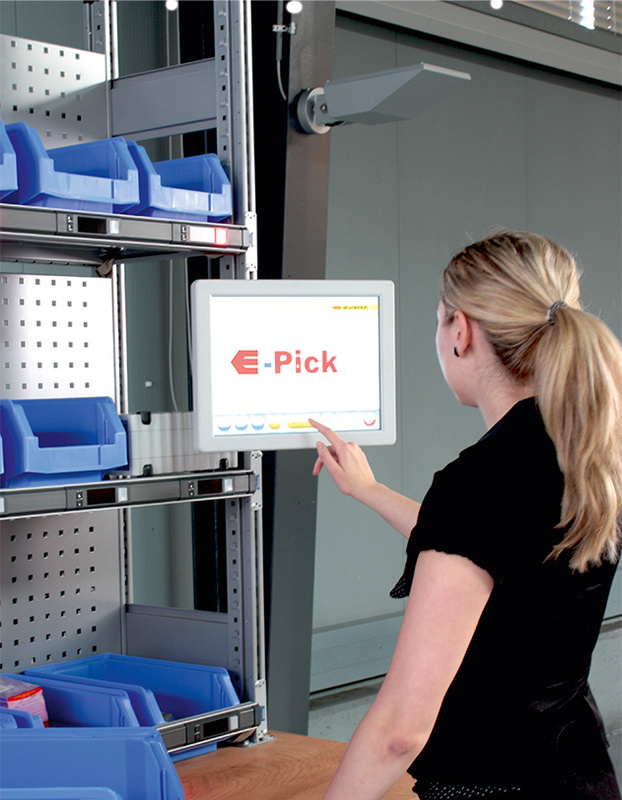 If you want a high level of reliability and efficiency for the order picking tasks in your warehouse, we recommend using our E-Pick system. 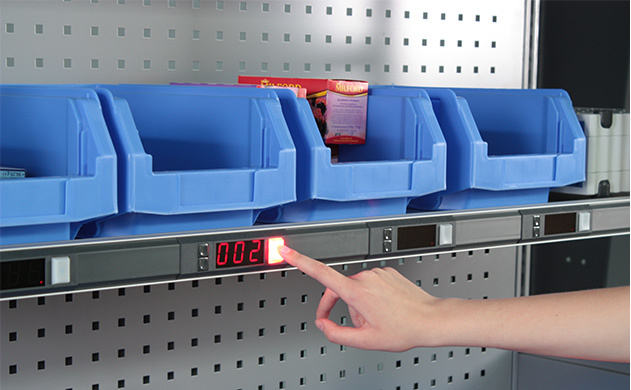 E-Pick is the fast, simple and cost-effective introduction to order picking systems / workstations controlled by pick-by-light. 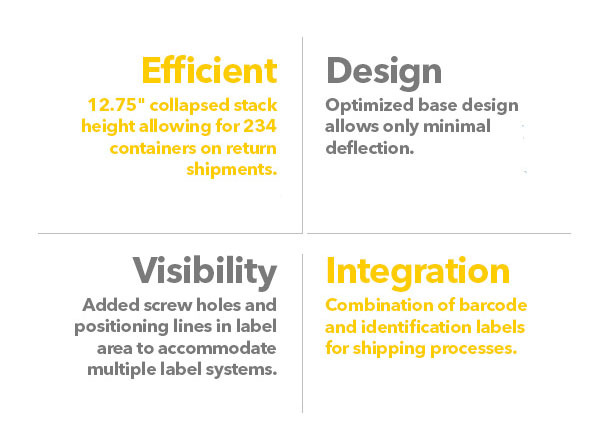 This is because with this stand-alone solution you can set up and operate a complete pick-by-light system. 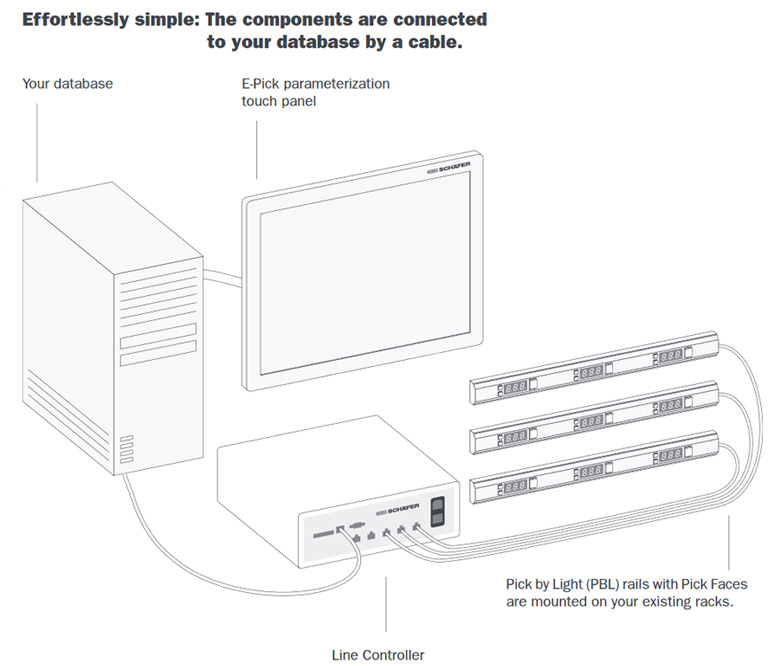 From linking to an order database to installation of the control elements and assignment of the storage locations through to daily operation, the system is user-friendly to deploy. You do not need any special IT knowledge for this and no dedicated programmer. 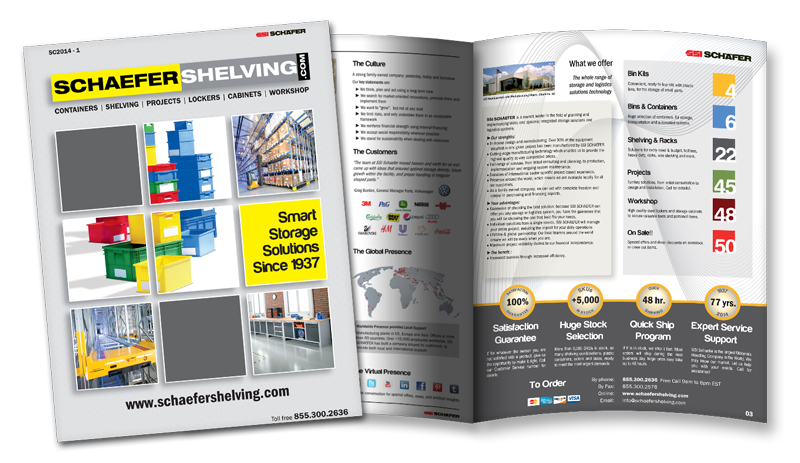 With this system you also profit from the experience and expertise of the market leader in intralogistics. Even in this "starter" application, you will recognise the advantages of the carefully orchestrated system modules. E-Pick is suitable for smaller workstations in particular, as these become independent offline order picking and assembly cells that can respond flexibly to short-term changes and modifications. The core element here is the touch panel PC that controls the connected pick elements and instructs the worker. Even if you change your logistics tasks, E-Pick is modified for the new situation within minutes. 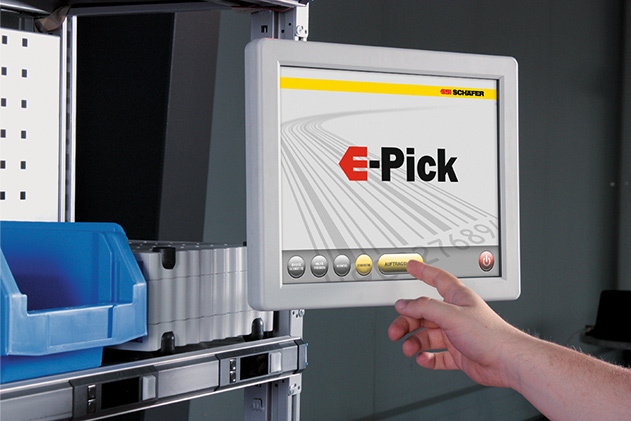 Our pick@work is an extension of the E-Pick and is configured via a software extension in the touch panel. The system is used for the efficient coordination of assembly workstations and component optimisation and minimises error quotas. The storage positions for the parts being built light up in the correct sequence and these are assembled step-by-step with the help of the display guide, which makes work manageable and effective. Watch SSI SCHAEFER Picking ePick in action!